Dispatch are back for 2018 with a massive summer tour planned, taking them across the USA for almost four months from Colorado to Boston! 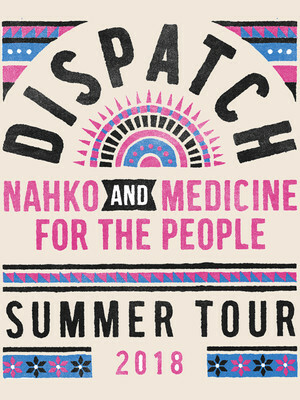 They'll be joined on the road by special friends Nahko and Medicine for the People. The Boston-based jam band will be continuing last year's extensive tour which was in aid of their long-awaited 2017 album, America, Location 12. 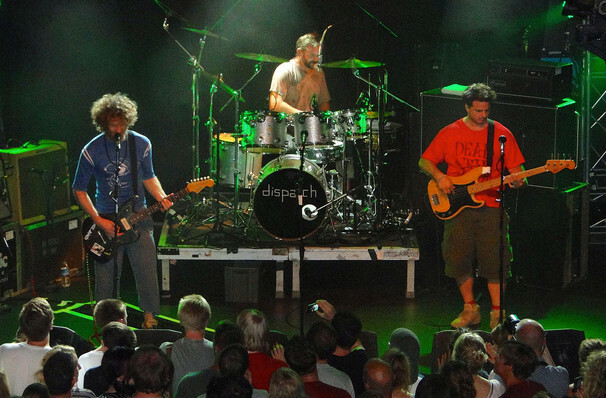 Since their debut album in 1996 (Silent Steeples), Dispatch have garnered international praise and stage time, securing a fan base from Europe to Southern Africa. The philanthropic four-some don't just shine on the stage however! They've undertake numerous charitable activities both as a band and individually, including being big campaigners for education and schools. Seen Dispatch? Loved it? Hated it? Sound good to you? Share this page on social media and let your friends know about Dispatch at Innsbrook Pavilion. Please note: The term Innsbrook Pavilion and/or Dispatch as well as all associated graphics, logos, and/or other trademarks, tradenames or copyrights are the property of the Innsbrook Pavilion and/or Dispatch and are used herein for factual descriptive purposes only. We are in no way associated with or authorized by the Innsbrook Pavilion and/or Dispatch and neither that entity nor any of its affiliates have licensed or endorsed us to sell tickets, goods and or services in conjunction with their events.